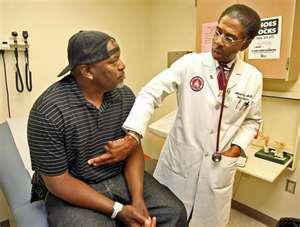 Welcom e to the second entry in my series: African Americans and Cancer: The ugly truth. This narrative follows the first subtopic: Dispelling Myths. What better to follow myth than truth? The photo above is resonant of an African American in a physician’s office listening intently, but leaving perplexed and overwhelmed by doctorese or medical mumbo jumbo. African Africans are visual people. We also have a high propensity to audio (ahem..music), but we identify best with what we see and as a result, what cancer looks like too often precedes what cancer really is. Cancer /ˈkænsər/ is a class of diseases in which a group of cells display uncontrolled growth, invasion that intrudes upon and destroys adjacent tissues. I applaud multiple cancer symposiums,cutting-edge research, and awareness campaigns held on HBCU campuses, but patients don’t attend symposiums, medical stakeholders do. A medical symposium to the average African American is the aggravating conflict of too many folks in medical lab coats converging at the same hotel our family reunion is held. The buffet and front desk lines are now long and elevators are likened to holding cells. “More Than A Picnic: It’s A Family Affair for Lifestyle Change. My candid approach to revealing the ugly in cancer is to show exactly what it looks like inside your body instead of the following familiar image: a bald woman musters a grim smile. Two blank strips replace her eyebrows and an oversize scarf swallows her head. African Americans know what chemotherapy looks like and it is indeed pretty, cancer-ugly. 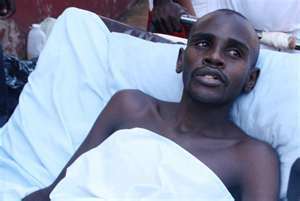 Another haunting image is an emaciated man in a hospital gown. His face is gaunt; his eyes aimlessly glare. He is caged and trapped by stainless steel bed rails as intravenous tubes deliver life. Now that is definitely cancer-ugly. A picture speaks one thousand words, but cancer cells can grow rampant in your body while you continue to look like the picture of health. Think of the adage referencing our heart: it’s what’s on the inside that counts. Cancer is the same. 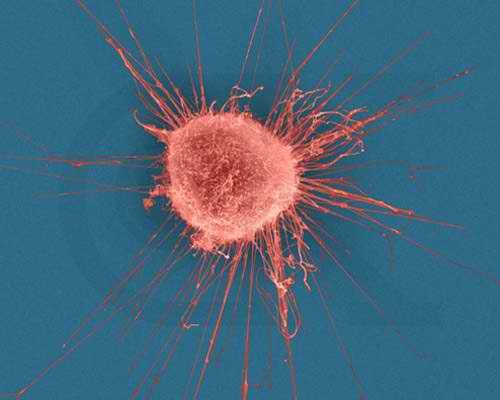 Cancer cells start with a rogue cell so small the naked eye can’t view it. Imagine something so small, but with enough power to invade, control, intrude, destroy, and win a battle. It’s similar to another truth: The worst battles are over something small. The haunting difference is that cancer doesn’t allow you to pick your own battles. Cancer is small and in charge and ruins your life like a bad date that doesn’t know the meaning of No. Small cell, large cell: What do these cancer terms mean? 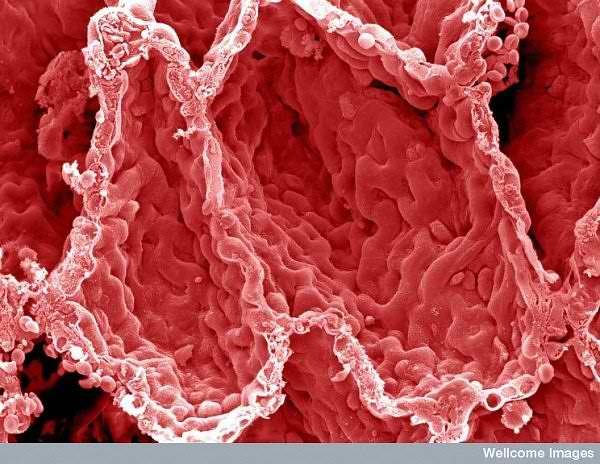 It is important to know what is on the inside of your body, even if you never view it under the microscope. As a patient, I continue to ask for a view of my diagnostic scans and slides. I want to see it. It helps make it real. A good example is the beautiful, pink, fleshy appearance of a healthy lung versus the one below stricken with a cancerous tumor. If you’ve never seen both, these images should offer you good reason to claim preference. A lung destroyed by cancer is one of the most disgusting and ugly images I’ve ever seen. I agree that it is just easier to think of our body from the outside, but ignore what’s going on within. Even efforts to altar diets and eat better, send positive images to our brain, but we don’t picture the grotesque affects years of grease, pork, other ills have corroded our intestinal tracts. African Americans pour hours and personal funds into maintaining our appearance and help support a billion dollar cosmetic industry that has every woman convinced: ugly is not an option. Cancer shouldn’t be either, and that is an ugly truth. Sadly, the daunting image to the right is cancerous lung of an overwhelming fraction of African Americans who defy label warnings to keep the tobacco industry breathing, while consumers lose their breath. 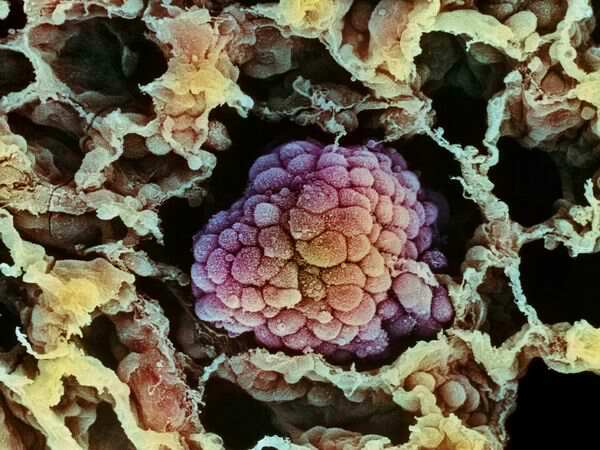 Is it ugly enough to make you believe cancer is not cool? 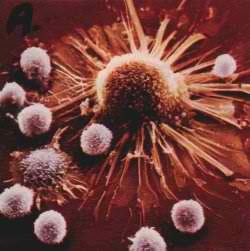 Cancer is SO not cool (and neither is smoking), and as my series on African Americans and Cancer continues, I will often reference “the ugly” and remind you to pay closer attention to your body on the inside first to divert he growth of cancerous cells.